The future is very nearly here, people! 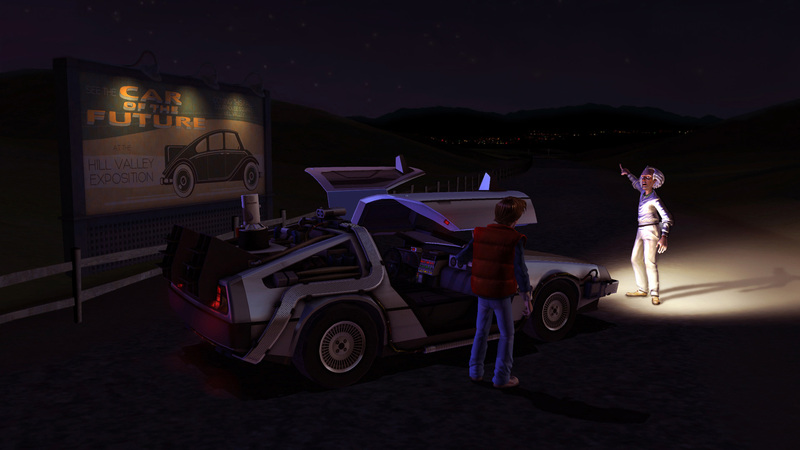 The eagerly anticipated Back to the Future: The Game, from Telltale Games, releases this Wednesday, Dec. 22nd. 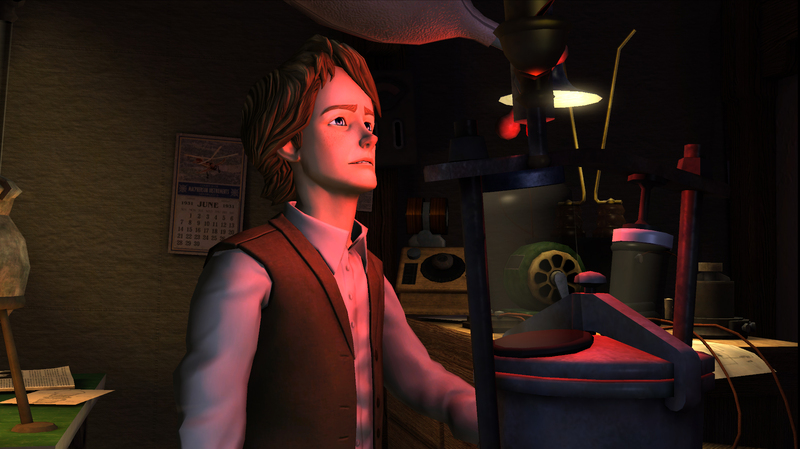 We’ve got the official press release below, as well as some new screens that seem to feature a young Emmit Brown! Nice to see they’ll be showing us eras we haven’t already seen in the film. Here are those screen shots, and read on for the official announcement. 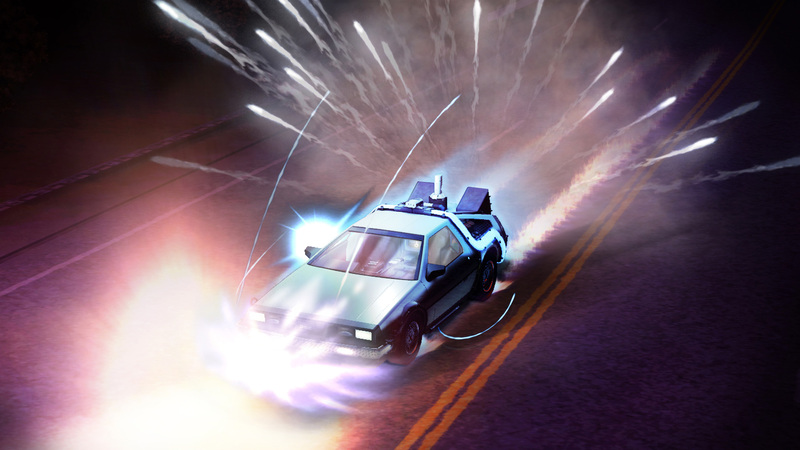 In a blast from the past, and the future, Telltale’s Back to the Future: The Game will debut this Wednesday, December 22. The five-part season’s first episode “It’s About Time!” will be available for PC and Mac platforms. Fans can still get the critically acclaimed bonus Puzzle Agent game free with their pre-order from http://www.backtothefuturegame.com, and Telltale also donates $1 to the Michael J. Fox Parkinson’s Foundation with each purchase up through the launch. The series will debut on the PlayStation Network and iPad platforms in early 2011. Back to the Future: The Game brings the iconic ‘Marty McFly’, ‘Doc Brown’ and the DeLorean Time Machine together in a completely new cinematic adventure, which unfolds over five exciting episodes. Six months after the events of the third film, the DeLorean Time Machine mysteriously returns to Hill Valley. ‘Marty’ must go back in time and recruit aid from a resistant teenage ‘Emmett Brown’, or else the space-time continuum will be forever unraveled. 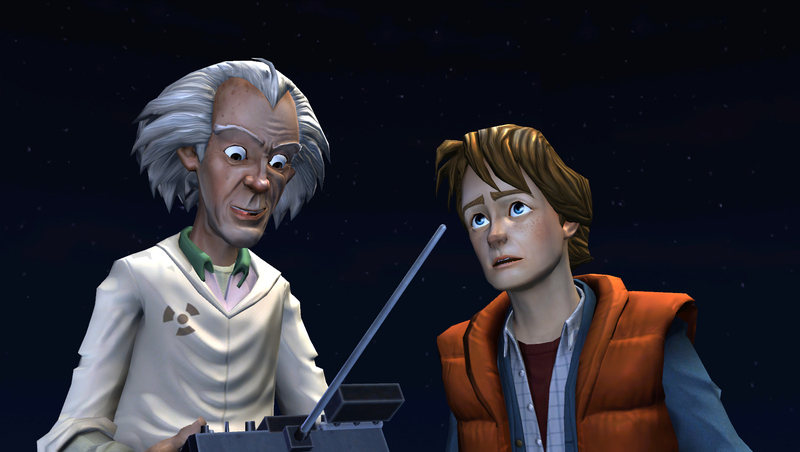 Back to the Future: The Game features the likenesses of the original stars that made the characters of ‘Marty McFly’ and ‘Doc Brown’ legendary: Michael J. Fox and Christopher Lloyd. 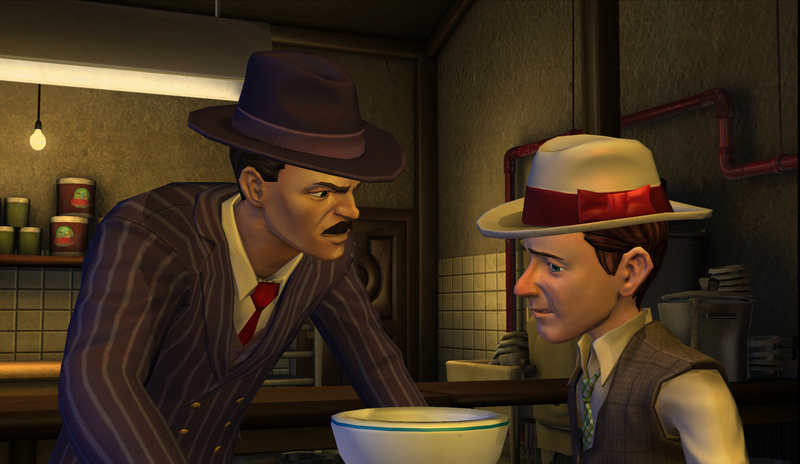 Lloyd is voicing ‘Doc Brown’ for the full game series. 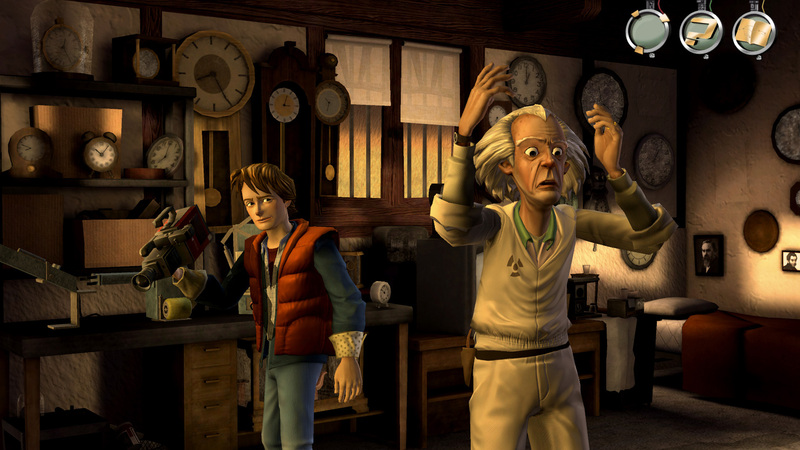 Telltale will also offer Back to the Future: The Game with complete voice and text translations for German language speakers, as well as a version with French text localization. The German language version will be available from Deutsche Telekom AG’s gaming platform Gamesload (http://www.gamesload.de), as well as from telltalegames.com and Steam. The channels will share more information on localized versions as they prepare for release. 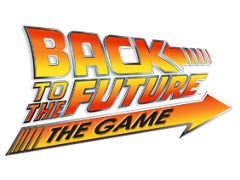 Full game information including videos, story synopses, character profiles, and more is available at http://www.backtothefuturegame.com. From the Academy Award(R)-winning filmmakers Steven Spielberg and Robert Zemeckis comes Back to the Future – the original, groundbreaking adventure that sparked one of the most successful trilogies ever! Starring Michael J. Fox and Christopher Lloyd, the phenomenally popular Back to the Future films literally changed the future of the adventure movie genre. Powered by innovative special effects, unforgettable songs and non-stop action, Back to the Future is an unrivaled adventure that stands the test of time. Back to the Future immerses you in all the breathtaking action, groundbreaking comedy and sheer movie-making magic of one of the most brilliantly inventive, wildly entertaining motion picture triumphs in Hollywood history! To celebrate the 25th anniversary of the Academy Award(R)-winning cinematic franchise that generated nearly $1 billion worldwide, the Back to the Future 25th Anniversary Trilogy is now available worldwide on Blu-ray and DVD, featuring all-new restorations of the classic films. Telltale is a leading independent digital publisher of cinematic adventures playable on every major gaming platform. Telltale is also the pioneer of episodic delivery of content, developing games as series and successfully releasing on a schedule to create a longer consumer engagement for each release. Founded in 2004 by LucasArts veterans with decades of experience, Telltale has quickly become an industry leader, establishing the model for successful episodic game creation and digital publishing. Telltale has sold more than 5 million episodes since 2005. Telltale’s reputation for quality has been established across more than 30 published releases that have cumulatively earned an average Metacritic score above 80%. Telltale’s titles have won numerous awards including, “Adventure Game of the Year” accolades from publications such as IGN, PC Gamer, GameSpy, and Adventure Gamers, and have been recognized by mainstream outlets ranging from USA Today, to The New York Times to Variety. 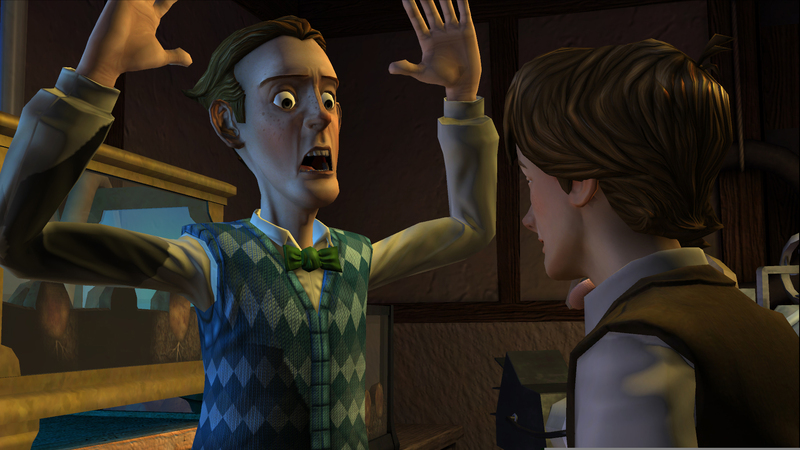 Telltale currently develops and publishes episodic series on PlayStation(R) 3, PC, Mac, Wii (TM), Xbox 360 (TM). 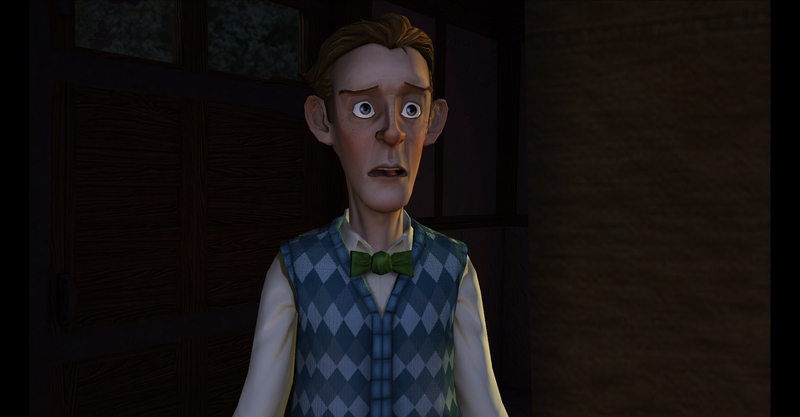 Learn more at http://www.telltalegames.com.